Woah! 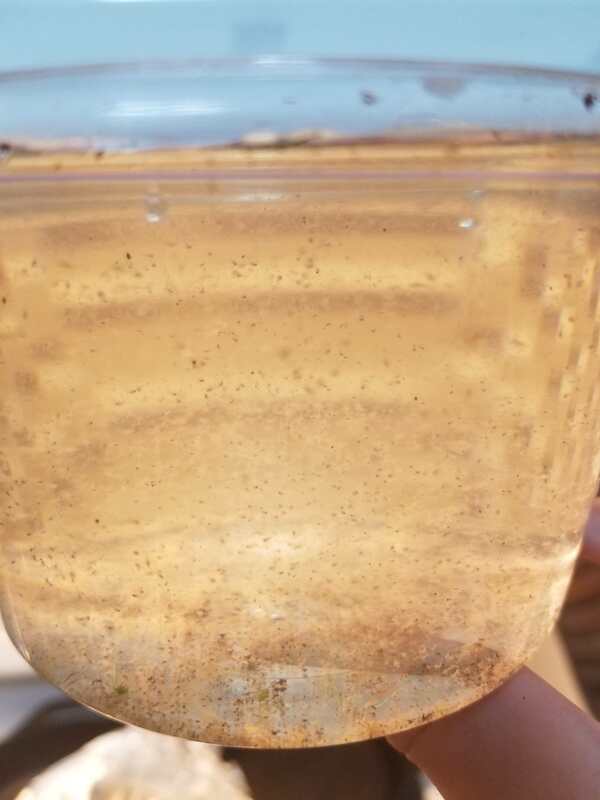 Dead larvae in the saltwater. My saltwater dish was looking pretty off-colored which is unusual. Even if there's a bunch of sand in it, it still stays pretty clear. I figured either they dragged in food or a bunch of rollie pollies drowned in it. Instead, I found lots of dead larvae! I thought they were just eggs at first but I dumped them into a clean container and apparently not. There were hundreds of tiny little sea monkey-looking things. Do they normally hatch pretty easily and it's just keeping them alive long enough to make it to the shell stage that's hard? And there's no way of telling if they were strawberries or PPs, right? This was the best pic I could get. Kinda sad but I wouldn't have had the money to try and raise them anyway right now. Edit: They emerge from their eggs as soon as the mother releases them into the msw. It’s making sure they have clean water & staying fed that gets difficult.